Today’s the first day of spring! For many Americans that means this weekend will be the first of the season spent outdoors picking weeds, spreading mulch, and planting fresh flowers. 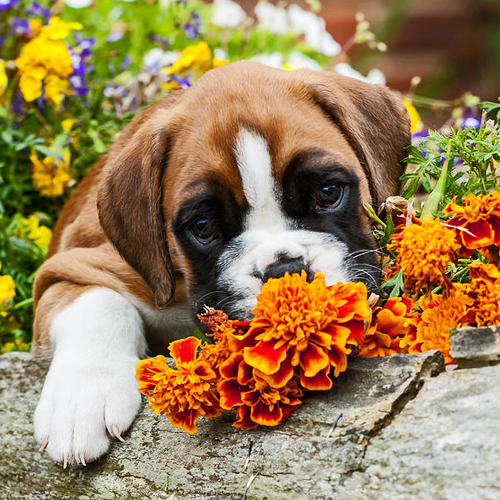 When bringing new plants into your home or planting flowers outside, it’s important to remember which ones can be harmful to our furry friends. Sago Palms (cycads), especially the seeds, are toxic for most household pets. Oleander and brunfelsia have been shown to be toxic when consumed by dogs and cats. Their toxicity doesn’t stop there though, as each plant can also be harmful for horses and cattle. Like indoor plants, lilies planted outdoors are also harmful to dogs and cats. Tulips, azaleas, rhododendron, yews, and castor bean plants have also been known to be hazardous to the health of the smallest members of our families.